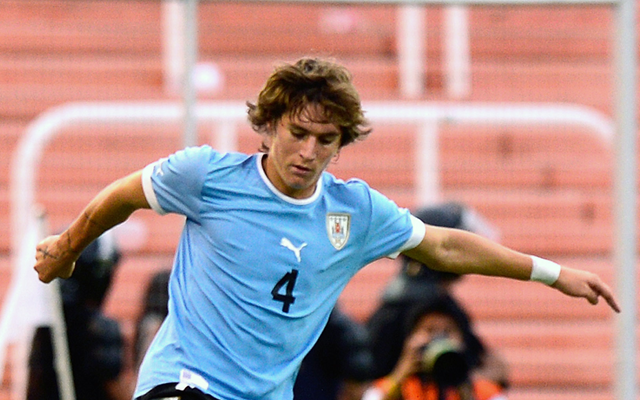 Manchester United youngster Guillermo Varela has confirmed that manager Louis van Gaal blocked his exit from the club during the January transfer window, according to Uruguayan radio station Radio890. The 22-year-old full-back was keen on moving on from the club in the new year, with Serie A side Genoa touted as a possible destination. However, despite making his feelings on a move clear to the management, Louis van Gaal vetoed his exit and convinced him to stay put. “I saw I wouldn’t play, I would have few chances,” Valera told the radio station in his homeland. “I spoke to the manager and he told me that no, I couldn’t go, because I was going to play. “Everything happened so quickly that you don’t believe that you’re playing in the most important league in the world. Valera is set to feature in tonight’s Europa League clash with FC Midtjylland.